Each year for Christmas, my mother-in-law bakes loaves upon loaves of sandwich bread and gives them to her five children as gifts. I love everything about this. I know the time she has invested into making homemade bread. I value her effort and cherish it immensely. And it tastes delicious, too. I could list one hundred reasons why baking bread at home is a good idea. Chief among them is that your house will never smell more comforting or homey than when a loaf of bread is rising to golden perfection in your oven. All the other reasons like the subtle nutty flavor and added fiber in your diet are good, too, but oh, my word, the smell of freshly baked bread is to an adult what petting a kitten is to child—all comfort and love. That nostalgia is hard to beat. My mother-in-law’s bread is made with lard, water, granulated sugar, and white all-purpose flour. It yields a loaf that is tall and soft, yet sturdy. For my version of this recipe, I wanted to make a whole wheat sandwich bread with a soft crumb and light but sturdy texture. I’ve adapted my mother-in-law’s recipe by using a combination of whole wheat flour and bread flour. I’ve also substituted unsalted butter for the lard, and replaced the water in her recipe with milk. Nearly 30 pounds of flour and 18 loaves of bread later, the result is a sliceable sandwich loaf that is tender and slightly chewy with a golden crust that’s just thick enough to add body, but not so thick my kids insist I cut it off. So far, I’ve made PB&J, cold turkey sandwiches, grilled cheese, French toast, stuffed French toast and regular toast with butter and jam. The bread has held up beautifully in every circumstance. You can make this whole wheat bread, too. It’s easier than you think. Start in the morning, and you can have two loaves of freshly baked bread cooling on your countertop by lunch. It only takes 20 minutes of hands-on time. The rest is just rising and baking. In an attempt to make this recipe as easy and foolproof as possible, I tried various starters, yeasts, sugars, liquids, and flours. For my yeast experiments, I decided to use Active Dry Yeast instead of Instant Rapid Rise because I felt like the instant yeast made the loaves rise too quickly and often resulted in over-proofed loaves. Winner, winner, bread for dinner! On to sweeteners! I made versions of bread with granulated sugar, honey, and molasses for sweetener. I found honey provided a subtle sweetness and color to the bread I liked. Granulated sugar left the loaves too pale, and molasses too dark. Milk or water? You need liquid to activate Active Dry yeast. I use milk instead of water because it creates a more tender crumb. The sugar in the milk also contributes to a softer, more deeply colored crust. That being said, if you’re lactose intolerant feel free to use water. When it came to flour, I settled on a combination of whole wheat flour and bread flour. The extra bran in the whole wheat flour can impede rising, which often results in a dense loaf of bread. Bread flour helps counteract this: it’s higher in protein than all-purpose flour, which helps create a stronger gluten network during kneading. By blending whole wheat flour and bread flour, I created a nutty-flavored bread with a light and soft texture, perfect for a sandwich. Feel free to experiment and adjust the flour ratios to your liking. Keep in mind that whole wheat flour reacts differently than bread flour. If you adjust the flour ratios you may also need to experiment with the amount of moisture you add to the dough. When it comes to bread, hydration is good. I tend to err on the side of a wetter dough simply because it’s easier to add more flour to dough than it is to add more water. If the dough feels too wet when you knead, use a bench scraper to help scrape the dough off the counter. Dust the counter and your hands with a tablespoon of bread flour at a time until the dough feels tacky, but not sticky. If the dough ends up feeling dry and is difficult to knead, you can add more moisture by sprinkling your kneading surface with water as if you were dusting it with flour. Then knead in the water. It’s difficult to knead slimy dough, however, so use only a little water at a time. The shaped loaves are ready for the oven when they have doubled in size and you can touch the top or make a small cut with a paring knife without the dough collapsing. Bake it anyway and use it for strata, bread pudding, French toast, or croutons. Or you can punch it down, and let it rise for a third time. The third rising doesn’t always work, but given your circumstances, it might be worth a shot. If your day gets away from you and you don’t have time to bake your loaves, just cover the bowl and place the dough in the refrigerator for up to 24 hours. Finish the remaining steps when you’re ready. Place the dough in an oiled plastic bag, and try to remove as much air as possible, leaving just a little for expansion. When you’re ready to bake, place the frozen dough in a large buttered bowl. Cover and leave in the refrigerator for 24 hours. This will serve as your first rise. Remove the dough from the fridge and bring the dough to room temperature on your countertop. Punch down. Divide in half. Shape into loaves. Place into buttered loaf pans. Let rise again and bake as directed. To freeze the baked loaves, allow the bread to cool completely. Wrap the bread in foil, then place it inside a zip-top bag. Remove as much air as possible. The bread will keep in the freezer for up to three months. When ready to eat, transfer bread from the freezer to the countertop, keeping it in the wrapping. It will thaw in about 3 hours. If you are lactose intolerant, it's fine to substitute water for the milk. Stir the yeast into to the warm milk and let it hang out for about 5 minutes. The yeast should mostly dissolve and you should see some small bubbles on the surface of the milk. 3 Meanwhile, whisk together the dry ingredients and melt the butter: In a large bowl, whisk whole wheat flour, bread flour, and salt. Make a well in the center. In a small, microwave-safe bowl, warm the butter in 30 second bursts in the microwave until just melted. Add honey. Let it cool until no longer hot. 4 Mix the dough: Pour the milk and yeast mixture into well in the flour. Add the butter and honey mixture. Stir with a wooden spoon until a shaggy dough forms. Most of the flour should be incorporated, but it’s ok if you still have some loose flour in the bowl. 5 Knead the dough: To knead by hand: Turn the dough and any loose flour onto a countertop and knead for 10 minutes. Start by bringing the dough together with your fingers then smooshing it with the heel of your hand. Pull the dough back over itself with your fingers, rotate the dough a quarter turn. Smoosh with the heel of your hand and repeat. As you knead, the dough should feel soft, pliable, and a little tacky. Dust with additional bread flour as needed, 1 tablespoon at a time, if it sticks to the counter or your hands. To knead in a stand mixer: In a stand mixer fit with a dough hook attachment, knead the dough on the lowest speed for 5 to 7 minutes. When finished kneading, the dough should be tacky but not sticky. Form the dough into a ball. It should be smooth on top, and feel elastic. 6 Let the dough rise: Place the ball of dough into the buttered bowl. Use your fingers to gently spread a thin layer of softened butter on top of the dough ball. 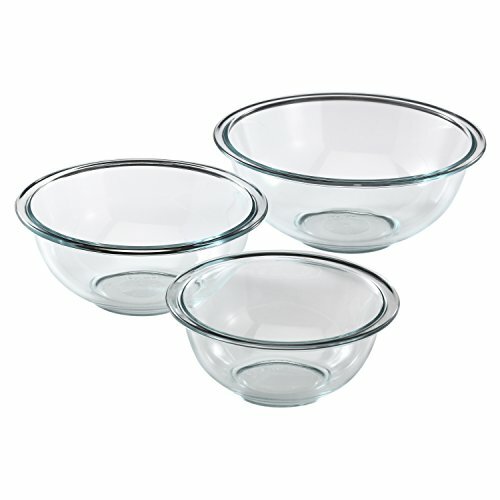 Cover with plastic wrap or a clean dish towel and let it sit on the counter until it has just about doubled in size. This should take 45 to 60 minutes. 7 Shape the loaves: Gently punch the dough down two or three times. Take the dough out of the bowl and form it into a ball. Divide the dough into equal halves. Shape each half into a loaf: Gently flatten the dough with the tips of your fingers to form a puffy oval roughly the width of your baking pan. Starting from a short end, gently roll it up and pinch the seam closed. Roll it over so the seam-side is down and transfer to the prepared baking pan. 8 Let the loaves rise: Cover with plastic wrap or a clean kitchen towel. Let rise for 45 to 60 minutes, or until the bread rises just above the lip of the pan. The dough is ready for the oven once it has puffed up, but it maintains its structure. You should be able to press a fingertip gently onto the top of it, and the dimple should slowly fill back in. 9 Halfway through this second rise, preheat your oven to 375-degrees. Melt additional butter for brushing over the tops of the loaves. Place the loaves in the oven and bake for approximately 40 minutes until loaves are golden brown, have risen, and make a hollow sound when the bottoms are tapped. 11 Cool the loaves: When the loaves have finished baking, remove from oven and baste the tops with butter one more time. Turn the loaves out onto a wire rack and let cool. Do not let the bread cool in the loaf pans. If you do, the bread will get soggy. 12 Store and enjoy! Once the bread has cooled, store it on the countertop in a plastic bag or a cloth bread bag. The bread will stay fresh for 4 days, which isn’t to say it goes bad by day 5, just that it will start to dry out a bit. Rather than using the bread to make a fresh turkey sandwich on day 5 make grilled sandwiches or toast. Hello! All photos and content are copyright protected. Please do not use our photos without prior written permission. If you wish to republish this recipe, please rewrite the recipe in your own unique words and link back to Whole Wheat Bread on Simply Recipes. Thank you! Quite new to bread making. Followed recipe & instructions to the letter. VERY pleased! They look “professionally made”. While the crumb, color & crust were excellent I would like the next batch to be a little more moist and have a bit more flavor. How do I accomplish these goals? More butter? Hi, Matthew! I’m so glad you liked the bread recipe! You can deepen the flavor by switching the honey for molasses (or even adding a little more honey). You can add additional butter or milk (though just a little bit), blend different flours, sprinkle the top with nuts, seeds or oatmeal. The variations are endless. As you bake bread more often you will get a better feel for the hydration of the dough, and how it reacts in your kitchen environment. Happy baking! Can I omit the butter? or used same amount of oil instead? Husband avoids lactose! I usually have lactose free milk on hand, which should work–but wondered about the bit of butter. Hi, Mary — Great question. You can replace the milk with water (or the lactose-free milk) and use lard to replace the butter. My mother in law’s original recipe called for lard or shortening not butter. I assume oil would work as well, I just haven’t tried it. Have fun baking. I usually sub oil for butter in bread recipes and it’s fine. Use the same quantity. If you omit the fat altogether, the bread will be less tender and rise somewhat less. This recipe is similar to the bread I have been making for years for my family. I do add 1 egg for each loaf. Also, one thing that makes a huge difference is letting the whole grains soak in the liquid for about 30 minutes. This softens the shards around the whole grains, and helps the rise. I use a mixture of spelt, white whole wheat, and KA whole wheat for my whole grains. If I can find it, I also love to add in barley flour. It has a sweet taste and wonderful aroma. Hi, Melody! Thanks for the great suggestions! I can’t wait to try them out on a future loaf of bread! Wonderful texture, easy to make, great instructions! This will be my go to sandwich loaf. Hi, Bill! Thanks for letting us know how much you liked it. Have a great day! I made a similar recipe in my bread maker using about half bread flour, half whole wheat, molasses and honey, along with the rest of the ingredients. The recipe was for just whole wheat but I find it’s too dense and doesn’t rise a lot. Delish! The second time I made it, I added 2 1/4 cups of water instead of 1 1/4, my mind was elsewhere. I had soup in my bread maker. So I reset to dough setting, added another 1 1/2 cups all purpose flour and another tsp of yeast. Plopped it in a 9 x 13 inch pan, drizzled it with olive oil, baked it in the oven and it turned out to be a pretty good foccocia. I can’t wait to try this recipe! It looks delicious! Have you ever tried this in a bread machine for the kneading and first rise? Hi, Melissa — I haven’t tried it in a bread machine, but I don’t see why it wouldn’t work. Let us know how it turns out! 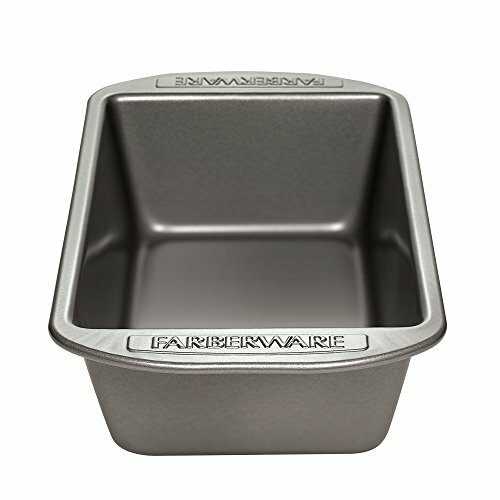 A quick question – I only have one bread loaf pan. Can I halve the recipe and still have it “perform”? Thanks! Hi, Megan — I would think so, but you can also freeze the other half to cook at a later date, or refrigerate the other half to bake later or the following day. The instructions for how to do that are in the blog post under: “How to Store and Freeze Bread.” Good luck!